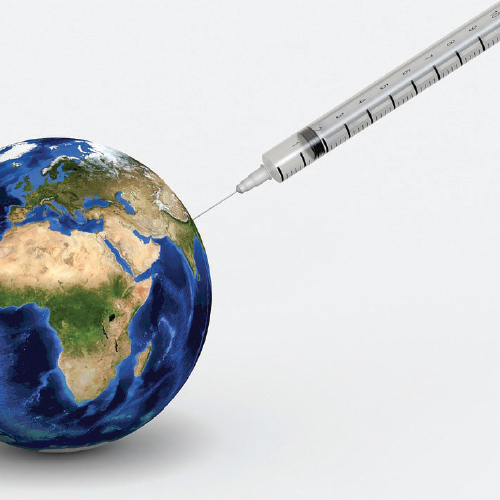 With numerous comparative advantages in terms of R&D facilities, knowledge, skills, and cost effectiveness, the Indian vaccine industry has all the right ingredients to become a global leader in affordable healthcare, writes Vivek Ratnakar of Elets News Network (ENN). The emergence of vaccine industry is among Indias biggest success stories. Today, almost every third vaccine used in the world is produced in India. The industry is poised to grow at a CAGR of 15 per cent a year. However, despite registering high growth, the industry is yet to achieve its full potential. Manufacturing of vaccines in India started as part of the national immunisation programme involving a network of state-owned manufacturers. As per the Indian Journal of Medical Research, initially the focus of the Indian vaccine manufacturers was preventing diseases like cholera, plague, smallpox and rabies. According to official records, there were 19 vaccine manufacturing units in public sector and 12 in private sector in 1971. However, the evolution of the sector has been steady. The success of Indian vaccines in the global market today stems from the industrys ability to produce low-cost vaccines which are available at the fraction of the prices offered by global majors like Merck, Sanofi, GlaxoSmithKline, Pfizer and Novartis. The world saw advancements in vaccine science picking pace in the late 19th Century and India was amongst a few countries to have embarked on a path to develop competency in this space. Beginning from cholera and typhoid vaccine trials and research and discovery of plague vaccine, India set up vaccine institutes to achieve self sufficiency in vaccine manufacturing whole of 20th Century. Though the manufacturing gradually moved from public to private players, the country not only was able to become self-reliant through indigenous production, it slowly emerged as a bankable supplier to the world, setting an example closer at home by eradicating smallpox and making the country poliomyelitis free since January 2011. Indian vaccine manufacturers have been quick to adopt innovations and it is heartening to see today that majority of them are exporting to UN agencies. Today, India has a globally accepted regulatory authority, skilled manpower and the much required government support. Increasing prence of diseases in adults and increasing cost of health care will promote vaccination in adults and likely to drive growth of future market, says Dr Suresh Jadhav, utive Director, Serum Institute of India, the worlds largest producer of vaccines in terms of doses. To push the growth of the sector, the government has made vaccine manufacturing and procedures for clinical trials more systematic. In 2006, the Indian Council of Medical Research (ICMR), the apex body for the formulation, coordination and promotion of biomedical research in India, released a new set of guidelines to conduct research on human subjects. The capacity of Indian vaccine manufactures was put to test when the H1N1 pandemic alert was sounded in 2009. Three manufacturers developed pandemic flu vaccine in a very short period of time, showcasing the world what the Indian vaccine industry is capable of. Even in novel vaccines, the (Indian) industry is catching up with companies focusing on zika, rotavirus, HPV, leishmaniasis and leveraging technology platforms such as VLP and virosomal. 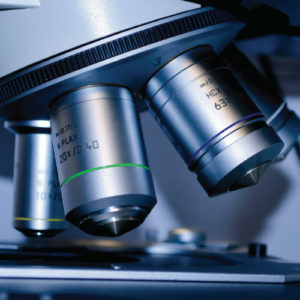 Higher level of fiscal incentives for R&D and innovation funding will be important for maintaining and strengthening this momentum, says Pushpa Vijayaraghavan, Director, Sathguru Management Consultants, a leading company offering life science advisory services. However, despite the governmental push to reduce deaths among children who are below five years of age, India continues to see a very high number of vaccine preventable deaths (VPDs) in the country. Indias infant mortality rate is 39, which means that an estimated 9.9 lakh babies die within one year of birth, mostly from preventable causes, according to the Union Health Ministry. Vaccination coverage hasnt received the attention it should in the past. India lags behind several other developing countries on vaccination coverage. Full vaccination coverage rates in China, Brazil, Vietnam and Turkey are 99 per cent, 90 per cent, 93 per cent and 93 per cent, respectively. However, in the recent past, there has been great emphasis on expanding vaccination coverage and the Government is giving this public health parameter high level of attention, says Vijayaraghavan. Indias infant mortality rate is 39, which means that an estimated 9.9 lakh babies die within one year of birth, mostly from preventable causes, according to the Union Health Ministry. The Government of Indias initiative — Mission Indradhanush — targets expanding the full vaccination coverage from 65 per cent to 90 per cent by 2020. There has also been emphasis on expanding the portfolio of vaccines included in the Universal Immunisation Programme (UIP). While rotavirus, pentavalent and MR have already been included, Injectable Polio Vaccine (IPV), Pneumococcal Conjugate Vaccine (PCV) and human papillomavirus vaccine (HPV) inclusions in the UIP have been announced by the government. This could present a huge opportunity for Indian vaccine manufacturers. The current government has taken good initiatives for introduction of rotavirus, measles rubella and pneumococcal vaccines in EPI schedules. These vaccines are relatively costly but will boost the domestic market significantly, opines Dr Jadhav of Serum Institute of India. Serum Institute is all set to launch rotavaccine in 2017 to prevent diarrhoea among babies and small children. This will be followed by TDaP (adult tetanus, diphtheria and pertussis), dengue and HPV. However, governments regulatory reforms will play a crucial role in making 100 per cent vaccine coverage in India a reality and further boost the efficiency of the sector. The industry is trying hard to set in motion a process very critical for sustained competitiveness in a segment of Indian industry that truly exemplifies the Make in India mission. For young companies venturing into the vaccines and biosimilars segments, there are huge opportunities particularly in bioservices and bioinformatics service oriented sectors. These sectors will be important targets for start-ups and promotion of entrepreneurships, says Dr Jadhav. There is a very vibrant ecosystem created today for ventures to get started and explore possible solutions. However, most of them are hitting the roadblock of scaleup funding given the dearth of risk capital or government funded innovation capital that can help them accelerate path to markets, says Vijayaraghavan from Sathguru. As per a recent report by US-based research firm A to Z Research, the global demand for vaccine was valued at over $32.2 billion in 2014, which is expected to reach above $59.2 billion in 2020 and is anticipated to grow at a CAGR of slightly above 11 per cent between 2015 and 2020. For young companies venturing into the vaccines and biosimilars segments, there are huge opportunities particularly in bioservices and bioinformatics service. 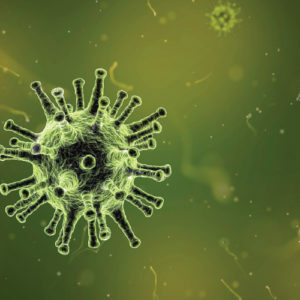 The key drivers of this growth include introduction of new vaccines for various diseases, rising frequency of diverse infectious diseases like swine flu, influenza, Ebola, hepatitis, tuberculosis, diphtheria, meningococcal diseases, and pneumococcal diseases worldwide and greater awareness among people for vaccination. However, high maintenance, strict laws of regulatory and huge expense for development of new vaccines could pose challenge for the vaccine market. Government funding for R&D of new vaccines for diseases like HIV and cancer offers novel opportunity for vaccine market. The Union Health Ministry recently announced to constitute an expert group to address regulatory concerns of the Indian vaccine industry. The expert group would work towards speedy resolution of issues in a time-bound manner without compromising critical aspects like quality, patient safety and patient management, according to Dr GN Singh, Drug Controller General of India, Central Drugs Standard Control Organisation. India may take lessons in managing regulatory challenge from macro sanitary regulators like Federal Commission for the Protection against Sanitary Risk (COFEPRIS) of Mexico, which played a crucial role in helping Sanofi Pasteur to introduce a dengue vaccine in the country in September this year. It was the first vaccine to be licensed in the world for the prevention of dengue, which, according to the WHO, is the fastest growing mosquito-borne disease in the world today, causing nearly 400 million infections every year.